Observation - Redwing - UK and Ireland. Description: Small thrush with red flanks. 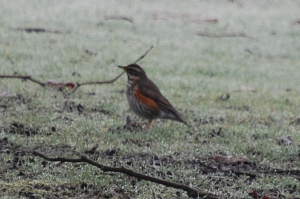 Small thrush with red flanks.